ACL’s Multi II consists of an active and a passive signal distributor. 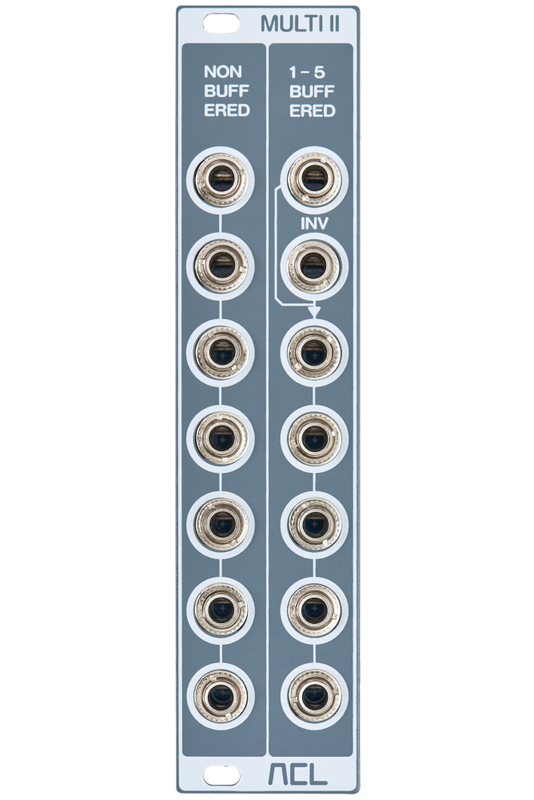 The buffered multiple features a normal and an inverted input, followed by a mixer. Results are emitted via five outputs. 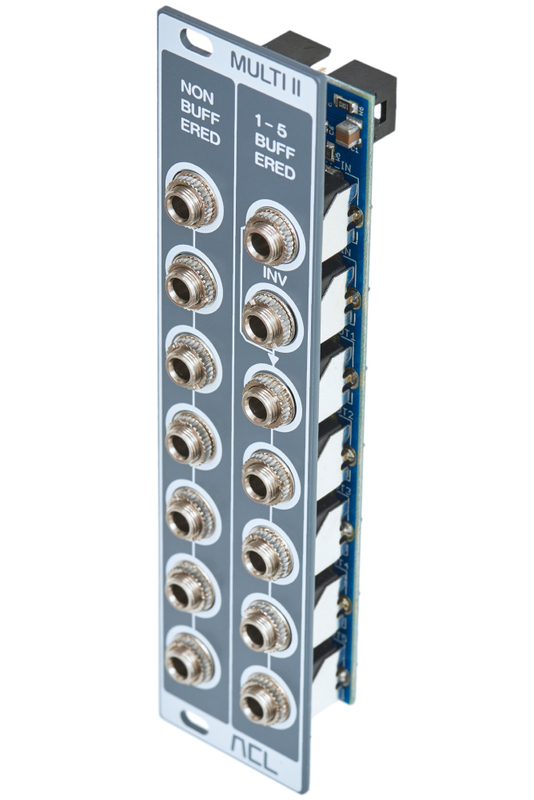 The non-buffered multiple comes equipped with a total of seven connectors, which can be used in a 1 to 6 configuration. High precision components with low tolerance values guarantee reliable, trouble-free operation and an extremely low signal drift. 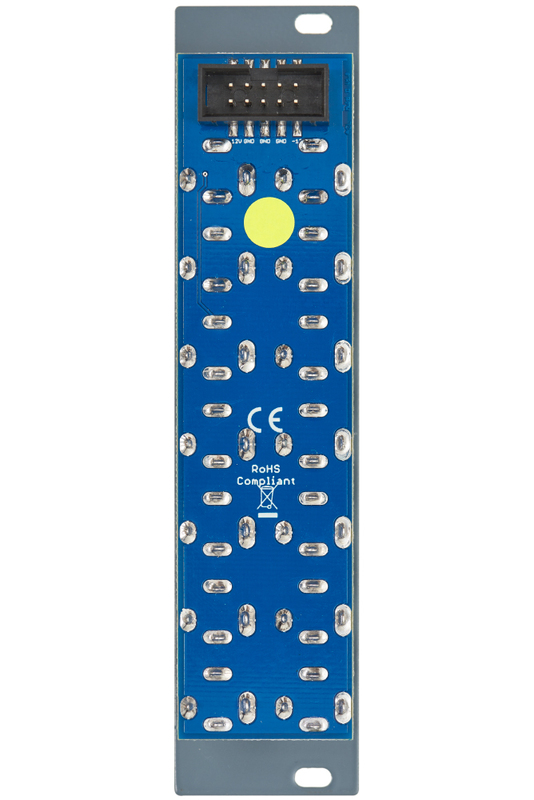 Multi II is composed of two sections, in detail an active and a passive signal distributor. The buffered multiple comes equipped with a normal and an inverted high-impedance input. Internally, signals are split up and emitted via five outputs. 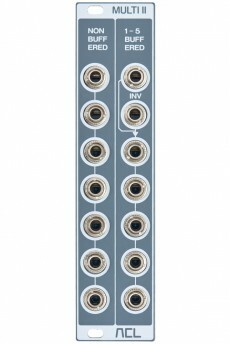 Thanks to a built-in mixer, both inputs can be fed with voltages simultaneously. In result, users get the difference of both signals at the outputs. The non-buffered multiple features a total of seven connectors. Which one is utilized as the input doesn’t matter. The other six connectors are used as outputs.